Perhaps it's their ability to dodge and weave while operating expensive camera equipment, but skate cinematographers have a magic ability to capture gritty, real and raw footage from their subjects. When he was a teen, Bing Liu probably thought he was filming his friends for an amateur skate vid, but his project has evolved into this stunning debut — an arrestingly intimate documentary about the lifelong scars of domestic abuse. Minding the Gap centres on Zack, Keire and Bing himself — a group of skate brats in Rockford, IL who use their hobby as an escape from the hellish broken homes that await them. Their city is a socioeconomic warzone, full of boarded-up buildings and increasing poverty. News clips suggest that the city's crime is rising as its workforce falls apart, with a quarter of it being attributed to domestic violence. As Minding the Gap unfolds, we begin to see the harsh realities of domestic abuse as each subject slowly peels the layers of their own horrible upbringing. Keire, a seemingly unshakeably positive kid, opens up about running away from home as a teen after his father beat him. He's now forced to reckon with their fractured relationship in the aftermath of his father's death. Zack was close with his father when they were children, as the two bonded over skateboarding. Eventually his father adopted more conservative beliefs, and he ran away from home only to get his girlfriend pregnant a few years later. Now they're raising a baby together, though his own tendencies for alcoholism and physical abuse soon rear their head. Then there's Bing, whose painful upbringing is explored through bone-chilling revelations as he walks through his family home and confronts his mother. Skateboarding serves as the glue keeping these three young men together, though this is hardly a film about skateboarding. Instead, Liu has crafted a bafflingly gritty film about domestic violence, race, poverty and general American brokenness that will leave you with a weight in your gut and a lump in your throat. It's a truly impressive feat — the cinematography is astounding, and Liu proves his merit as a modern documentarian with creative choices like using real Rockford billboards as topical title cards for each painfully intimate section. 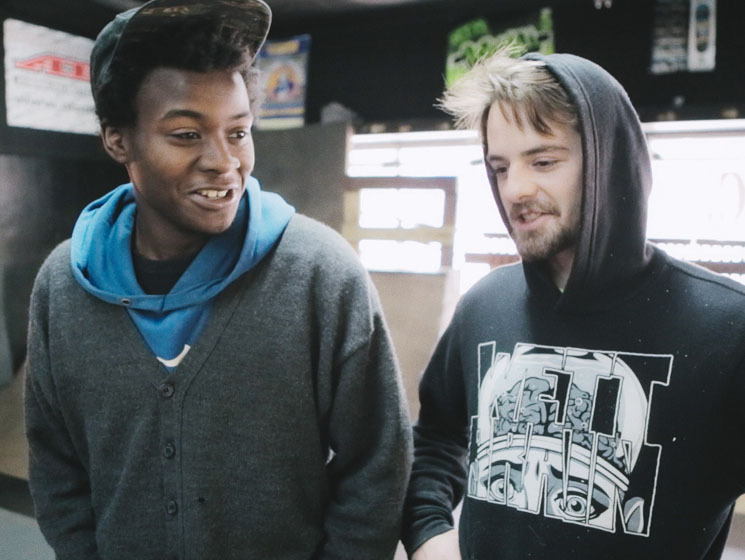 But Minding the Gap is also a sobering dose of social realism that should be approached carefully — this is not another fun-loving skateboarding film.